Enter Atolas, a world where swords and daggers both extend life and end it; where magic is feared by all but a few; where feuds and friendships influence kingdoms and courtships. Henry and Isabelle have secretly sworn to marry despite his lowly station. Though Henry is but a carpenter, his devotion drives him to commit an unthinkable act that may cost both of them their lives. Unknown to either, a dark prophecy has set in motion events which will affect not only them, but the thrones of rulers throughout all of Atolas by eclipsing the world in shadow. But all is not lost while hope remains in the guise of an unlikely hero and the strength of friendship. I was very excited to be able to read a Tale of Light and Shadow. After reading it’s short prequel, The Fool and the Dragonox (previously reviewed on Amazon found here) I was very interested in reading more from Jacob Gowans, all that to say, I really enjoyed reading this book. A Tale of Light and Shadow is a light fantasy adventure set in a world of magic and adventure. All Henry wants to do is marry his childhood sweetheart, Isabell and live a normal life. His plans however are interrupted not only by a scheming father, but by an emperor and a prophecy that if allowed to be fulfilled will have dire consequences for the entire land. Through the book Henry’s bravery and leadership are tested while his friendships are pushed to the limit. But overall there is still hope. Jacob Gowans writing is excellent easily pulling readers into his world and is never jarring or sloppy. His descriptions are wonderful always painting a clear picture in my mind of what’s going on. 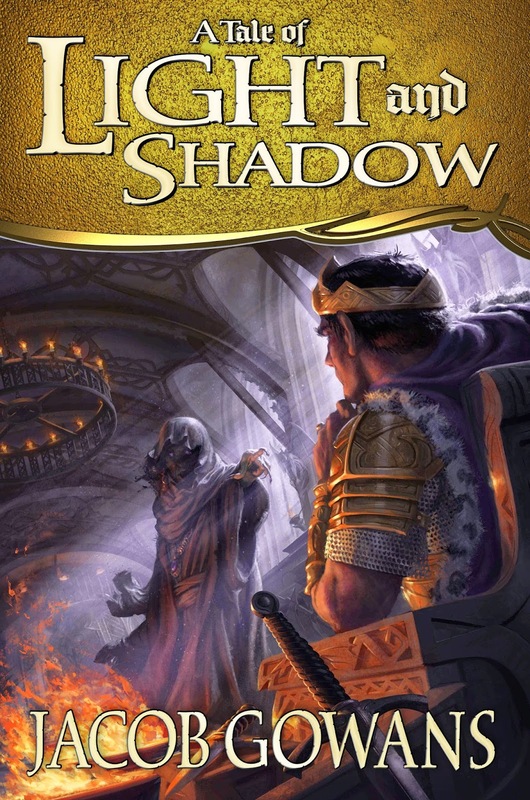 A Tale of Light and Shadow is engaging tying together elements of adventure and fantasy. I found myself on the edge of my seat at times eager to see what happened next and how the characters would get out of whatever situation they’d landed in. I often laughed at Maggie and Ruther’s banters and I was pleasantly surprised to meet James. The characters in this book are very well written, each one shining with their own unique personalities. I found myself drawn to each of them in different ways, which is odd for me. I tend to really like one or two characters in a book but Jacob Gowans has managed to make each of his characters shine in a way that was delightfully unexpected. The more minor characters all also had charm to them as well, as soon as I met the King I liked him. The Emperor really stood out as a villain as well. A few characters did stand out a little more to me however, those being James and Ruther. I found myself wondering about both of them through the book and I was always eager to see another glimpse of their past or personalities. There were a few things that I really enjoyed about this book. The first is a small thing, but I was delighted when I realized that Atolos was an acronym for the books title, A Tale of Light and Shadow. I thought it was very witty and I can’t help but smile every time I see either the title or the name Atolos. I love it when author’s do things that that, because it just adds to the book. Speaking of the book, the ending blew me away and has left me desperately wanting to read the next book this this series. My biggest problem with this book was the pacing in the beginning. It wasn't until almost halfway through the book that I really felt the story start to really move. I kept waiting for something to happen as Henry and Isabella continually put off leaving town. It was suspenseful in the beginning, and there were quite a few times where I thought, "Things are finally going to start happening!" but after a while their stagnation in town just got old. Overall I loved A Tale of Light and Shadow. I am still eager to see more from Jacob Gowans and I cannot wait until the next book in this series comes out. I’d recommend this book for anyone interested in fantasy or adventure. The magic element is light and so it will still appeal to fans who aren’t experienced with fantasy. Note: I received an advanced readers edition of this book from the publisher for my fair and honest opinion which I have stated above.